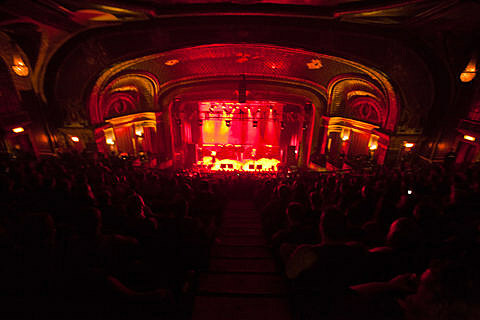 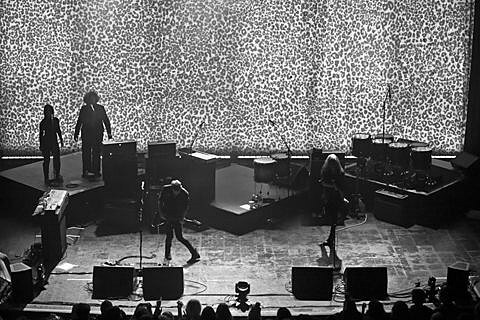 Last night (1/20), while a snowstorm ripped through Chicago, fans packed into the Riv to catch the opening night of The Kills‘ 10th anniversary tour with opening sets by JEFF the Brotherhood and Hunters. 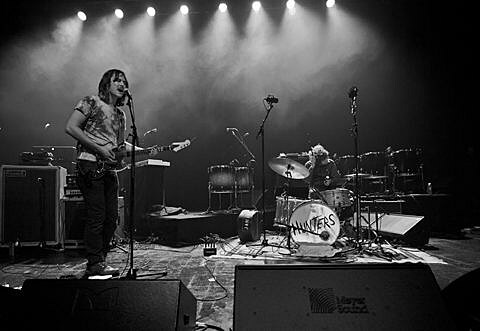 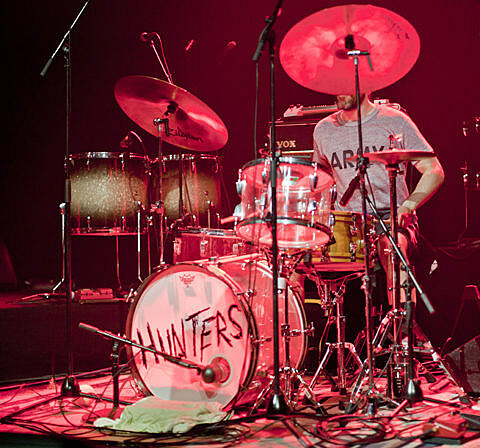 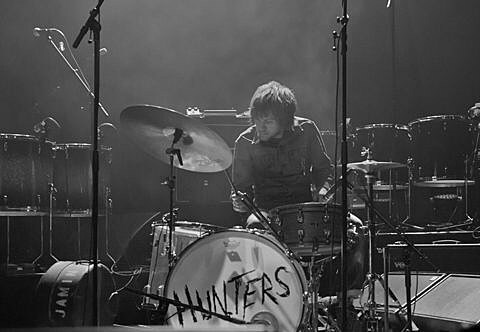 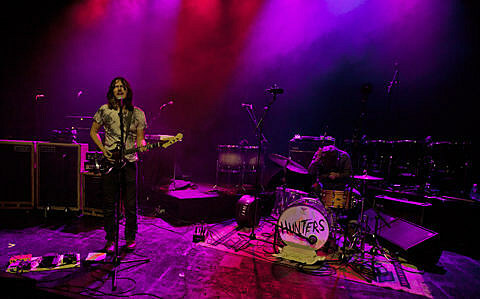 Brooklyn’s Hunters (not to be confused with Chicago’s Hunters) kicked off the night with a blistering, emotionally-charged set. 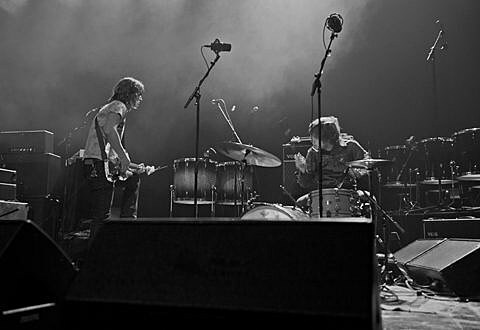 As teased by their recorded music, these guys and girl were LOUD, managing to engage the early crowd and not just be something to sit through. 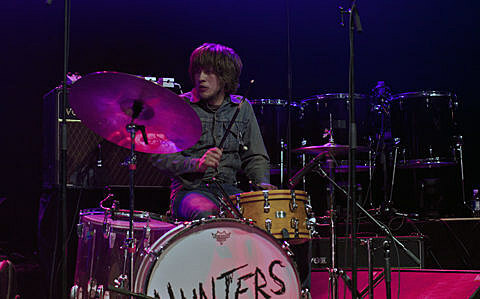 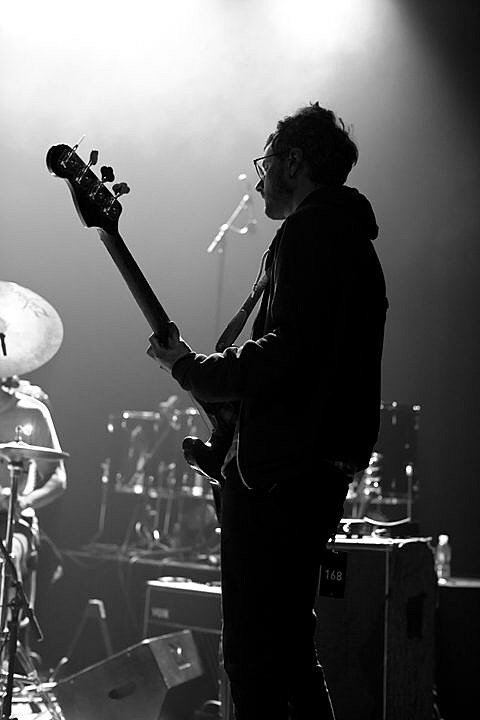 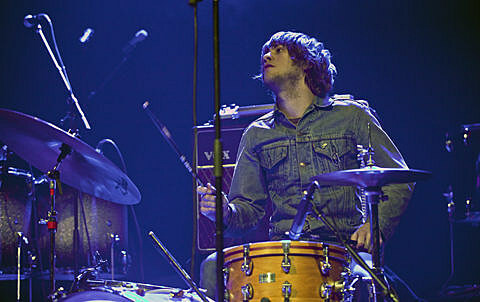 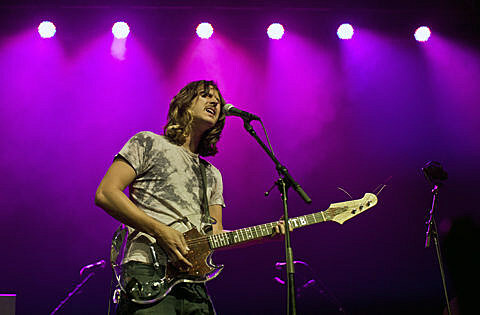 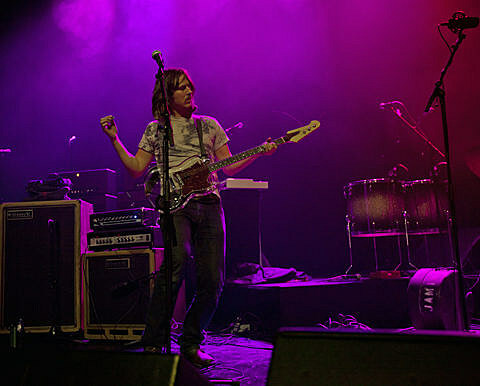 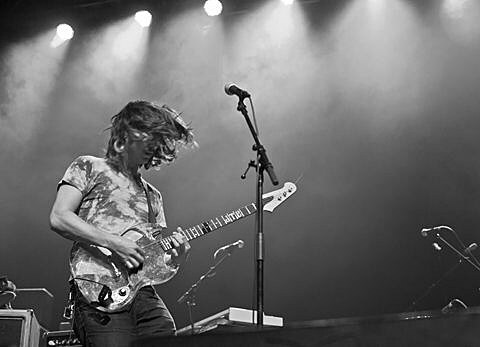 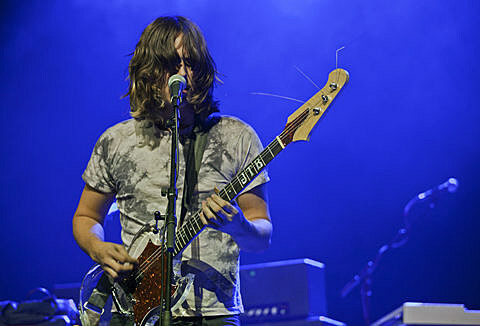 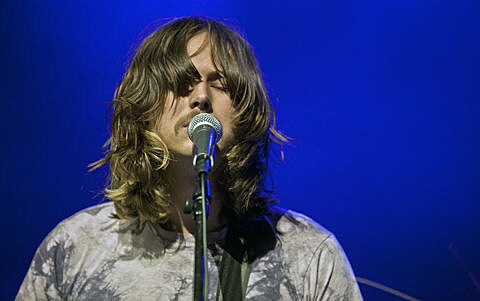 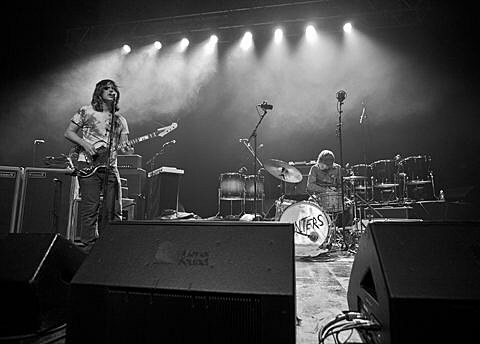 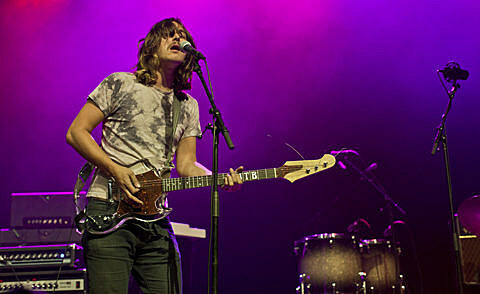 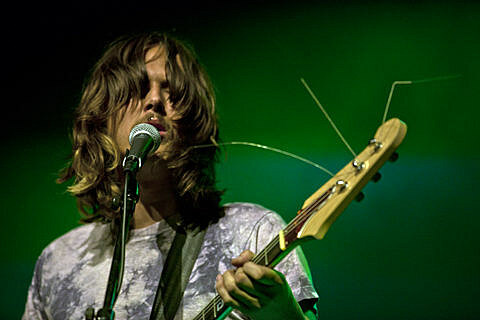 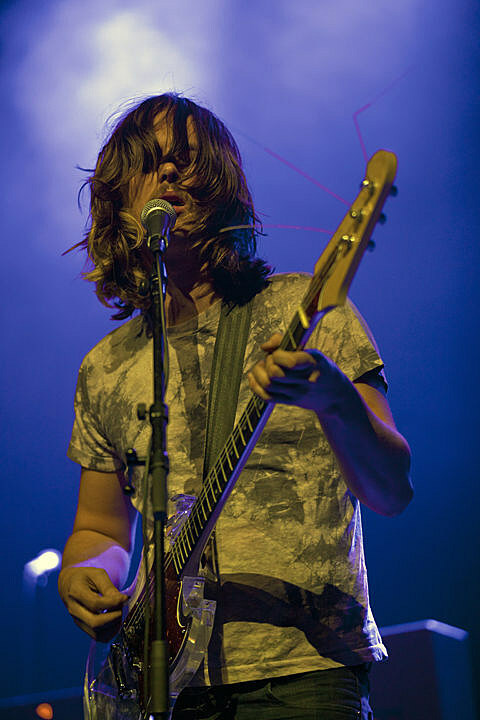 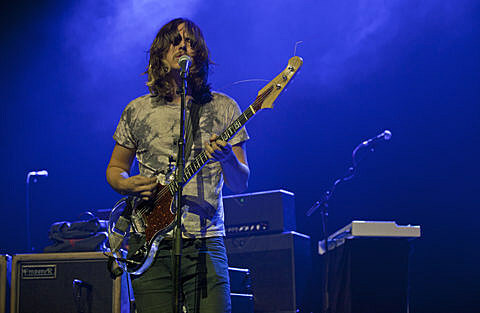 Their noisy punk was a great precursor to JEFF the Brotherhood. 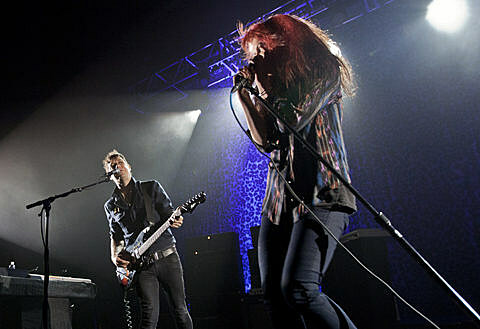 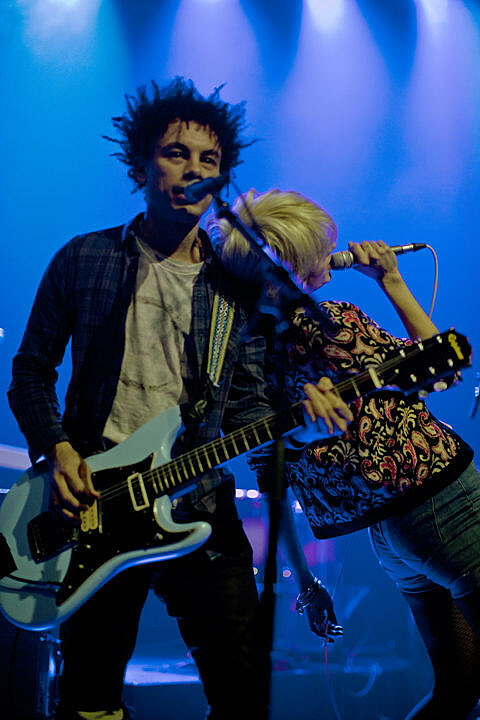 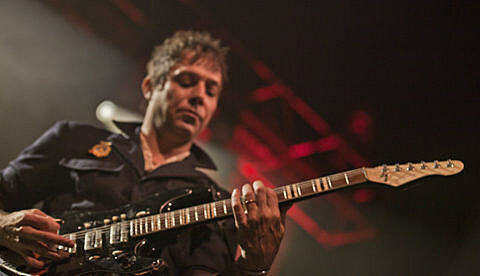 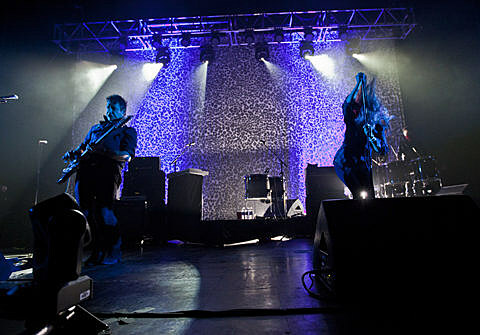 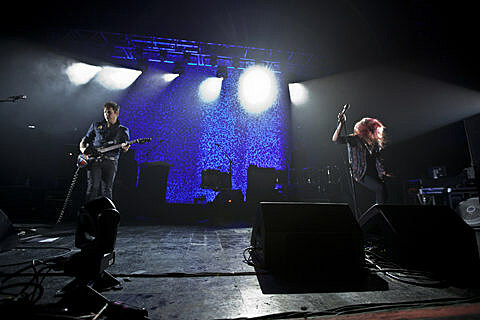 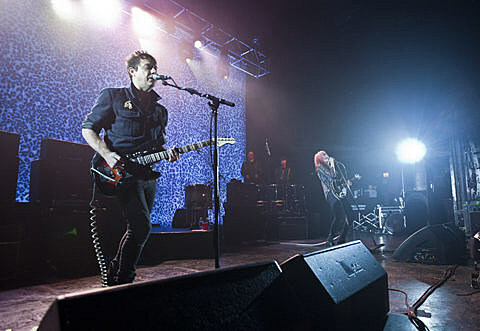 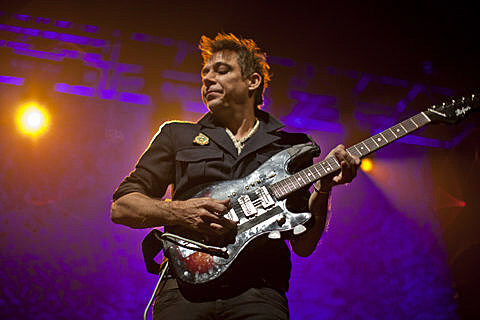 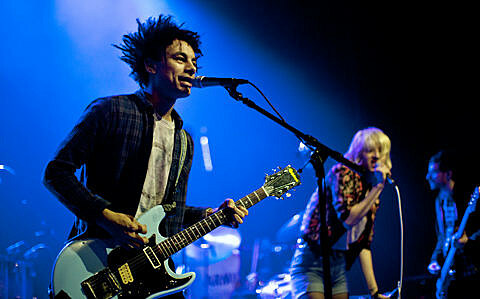 Complete with leopard-print backdrop, The Kills took to the stage at roughly 10PM and jumped straight into the title track of their sophomore LP No Wow. 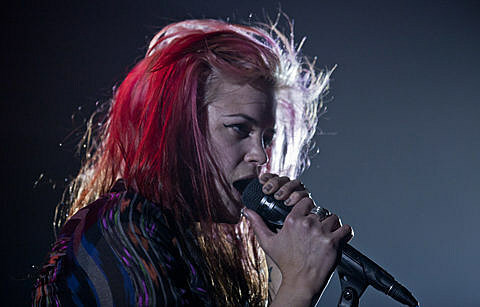 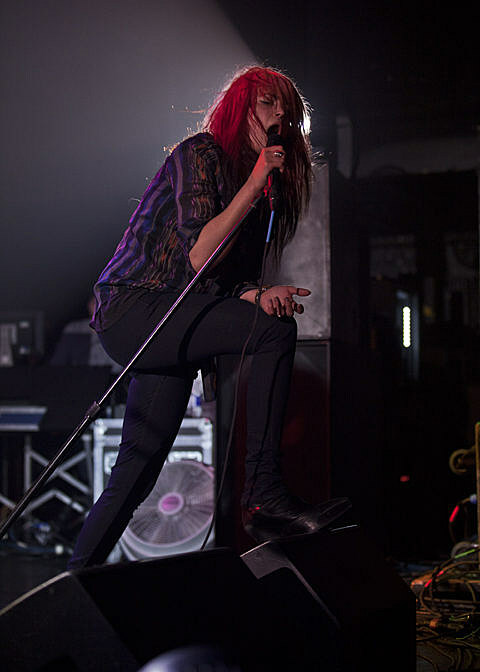 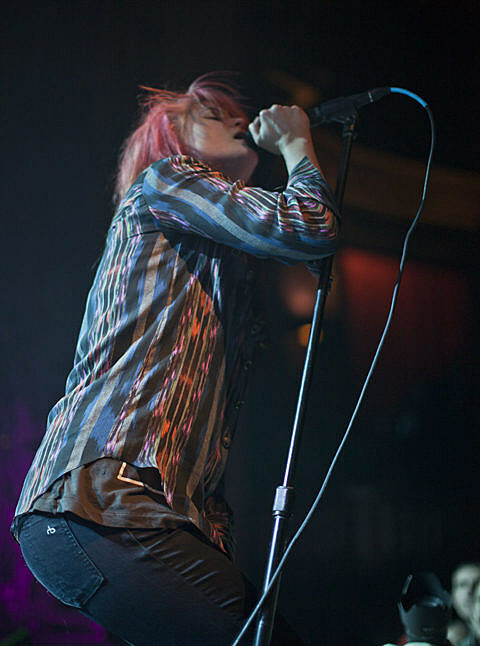 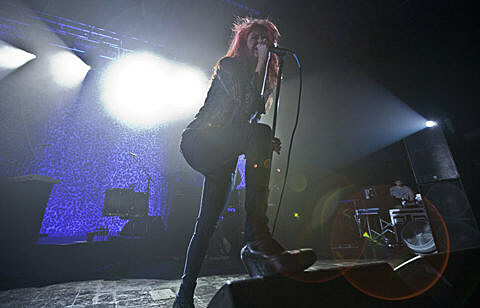 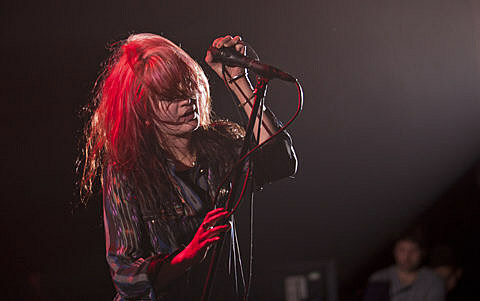 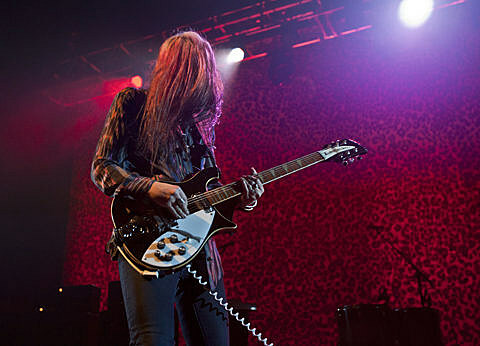 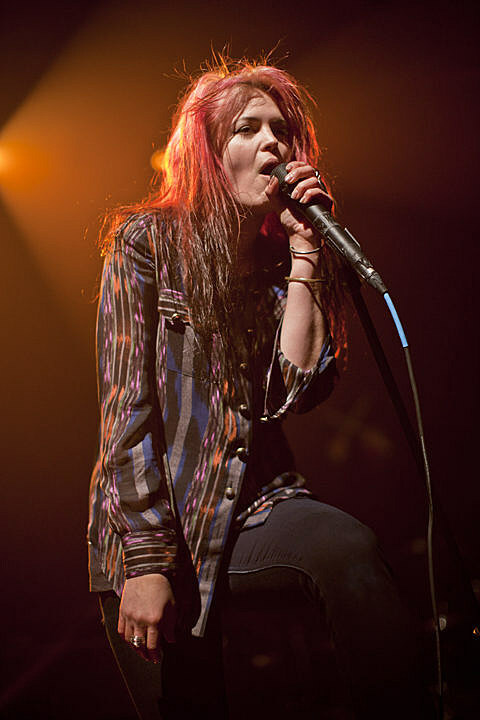 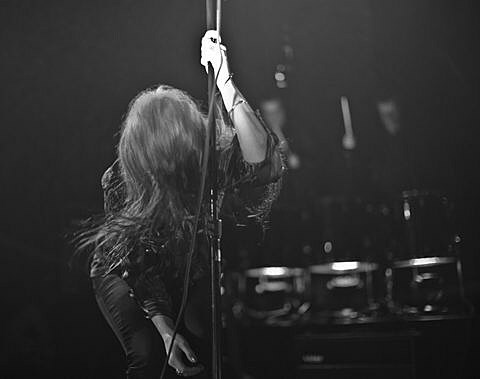 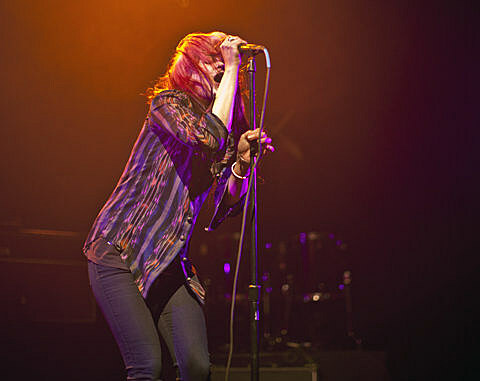 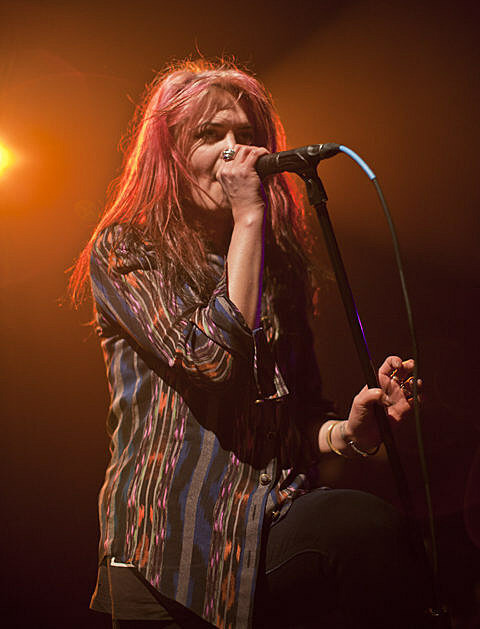 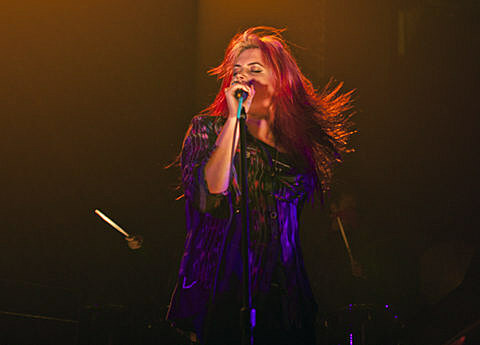 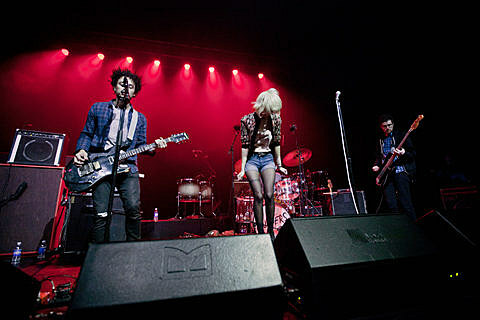 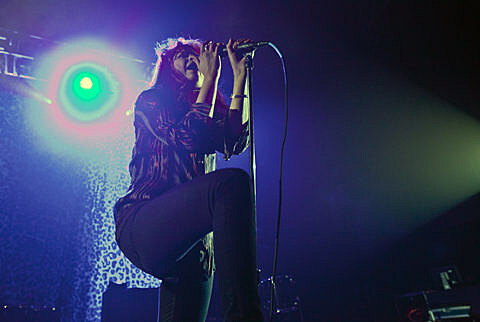 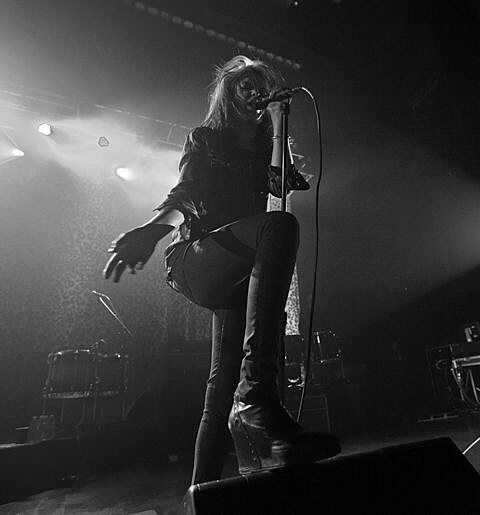 Vocalist Allison Mosshart (or “VV”), who now has pink-ish colored hair, paced the stage like a runway when not singing. 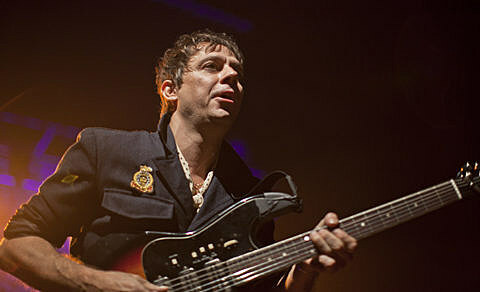 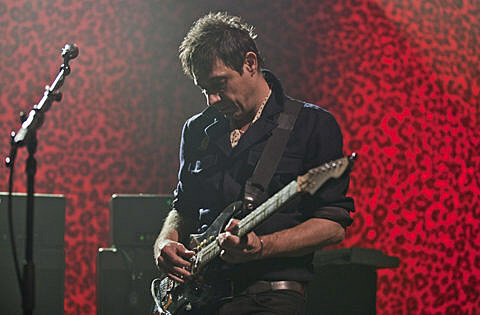 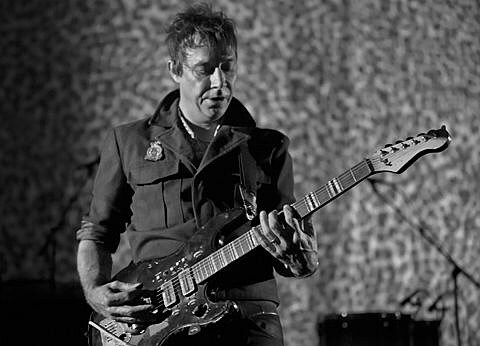 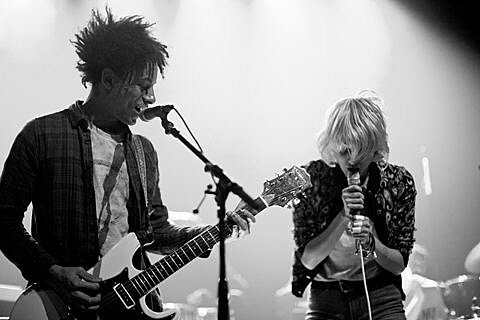 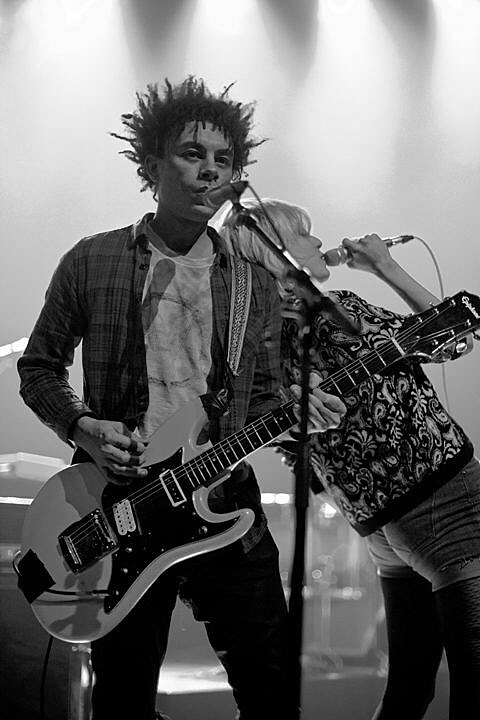 The duo, also consisting of guitarist Jamie Hince (or “Hotel”), then jumped to their most recently released album Blood Pressures to play “Future Starts Slow” and “Heart Is A Beating Drum.” Mosshart grabbed a guitar about halfway through the later, providing a rhythm lead for Hince to solo over. 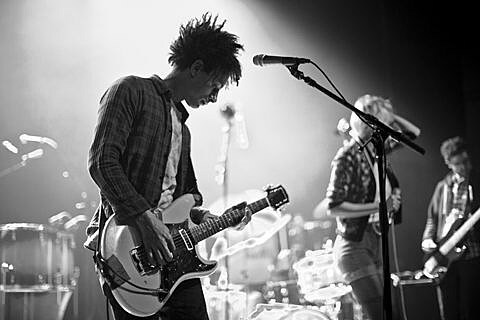 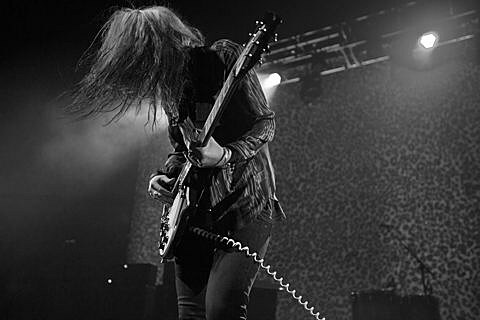 To me, what stands out the most about The Kills is Jamie’s guitar style. 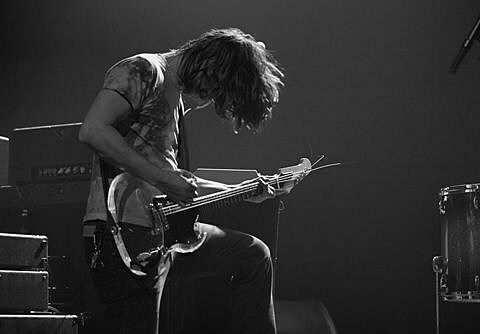 You rarely see him use a pick and instead, he pinches at the strings which in return creates a tone like no other. 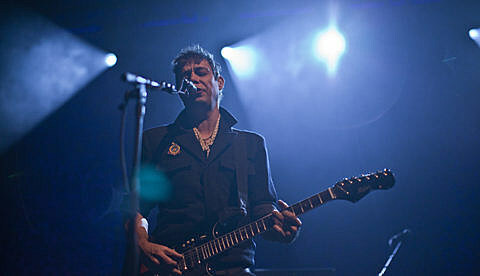 “U.R.A. 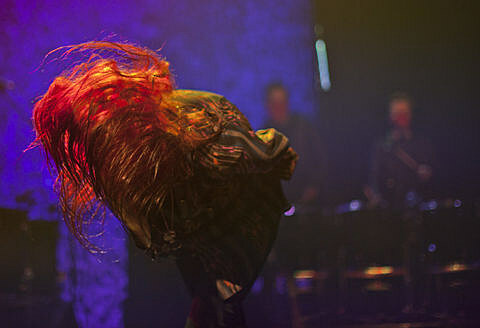 Fever” came next with much applause from the crowd. 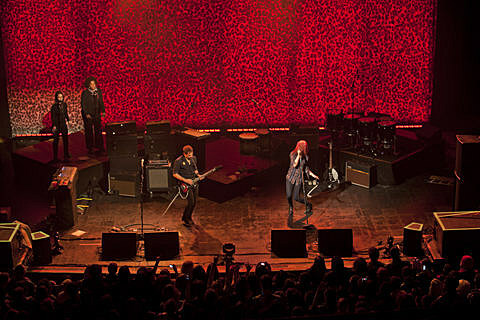 Two female backup singers as well as two percussionists (additional to the drum machine) joined the stage and stuck around for most of the show. 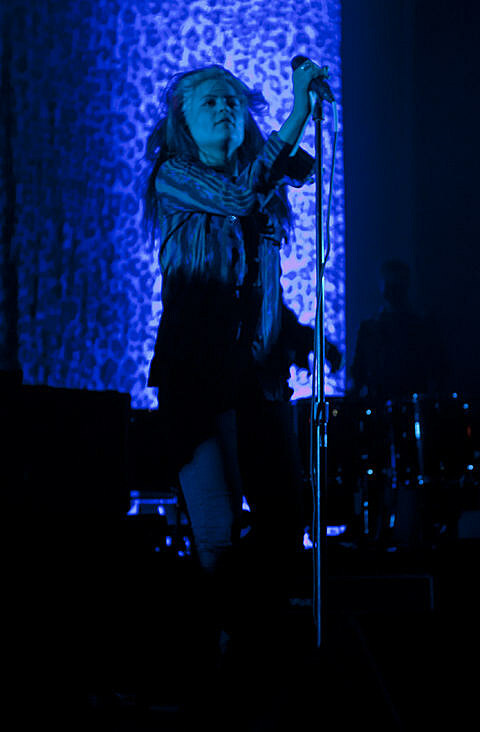 This brought extra texture without taking away from Allison and Jamie’s performance. 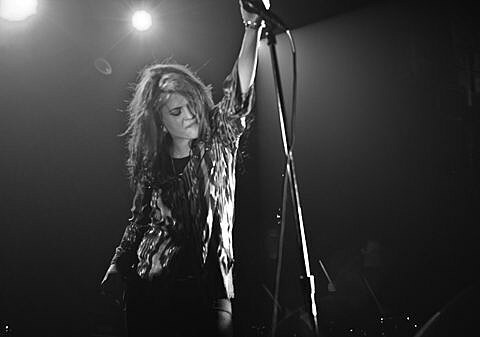 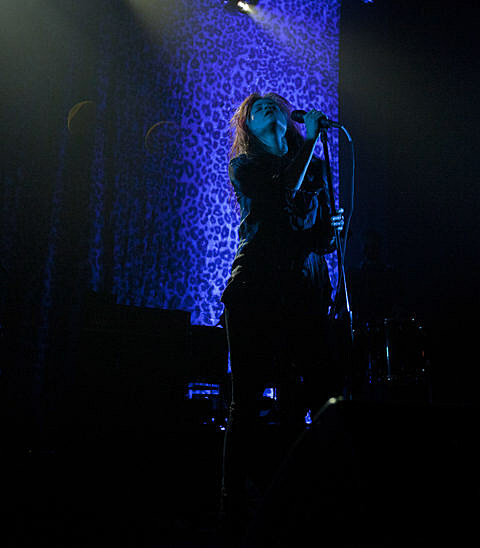 During “Satellite,” one of my favorites off of Blood Pressures, Mosshart wailed into the mic like a female >Robert Plant, commanding the attention of every audience member as she swayed across the stage. 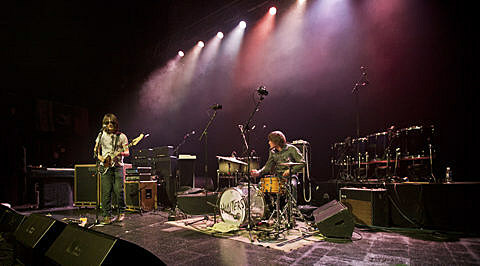 Late in the show, the duo pulled out an unexpected, stripped-down cover of Willie Nelson‘s “Crazy” (made famous by Patsy Cline) while seated at the edge of the stage. 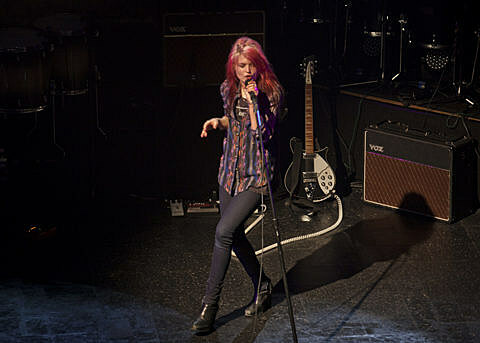 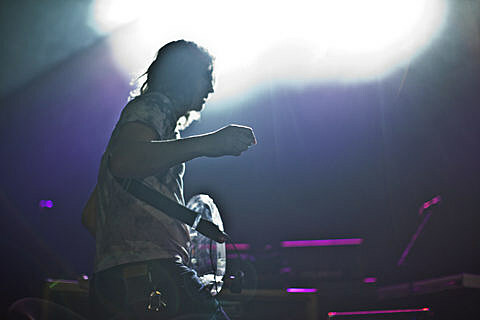 Check out some more pictures from the show, below..